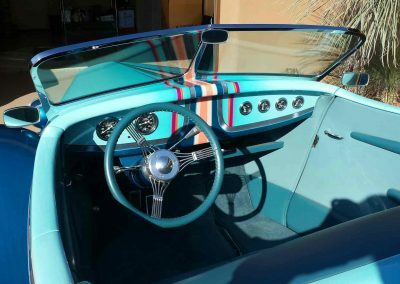 1933 Ford Roadster — The car was built by Roy Brizio in San Francisco in 1995 with a Corvette drive train and painted by Art Himsel in Concord, California. 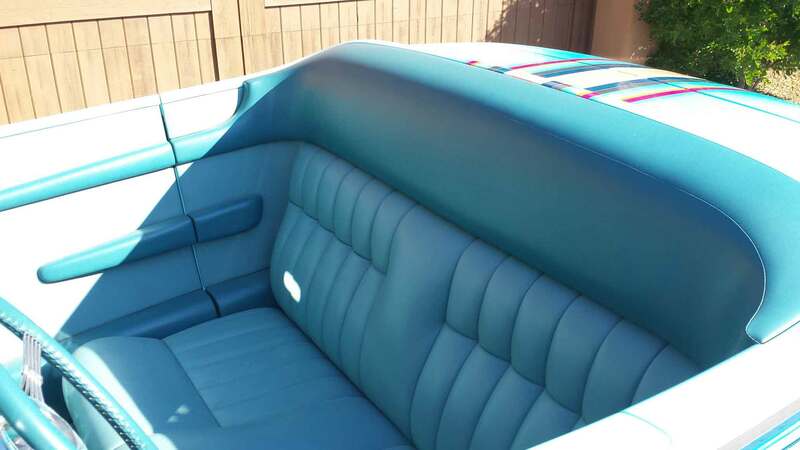 The body is fiberglass, with a Wescot body. 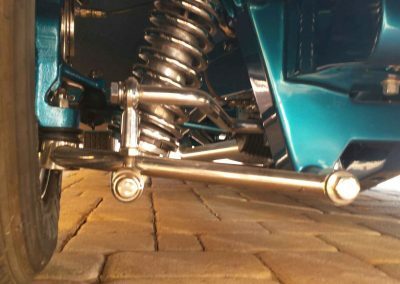 Barbara purchased the car from the late Bob Walker. 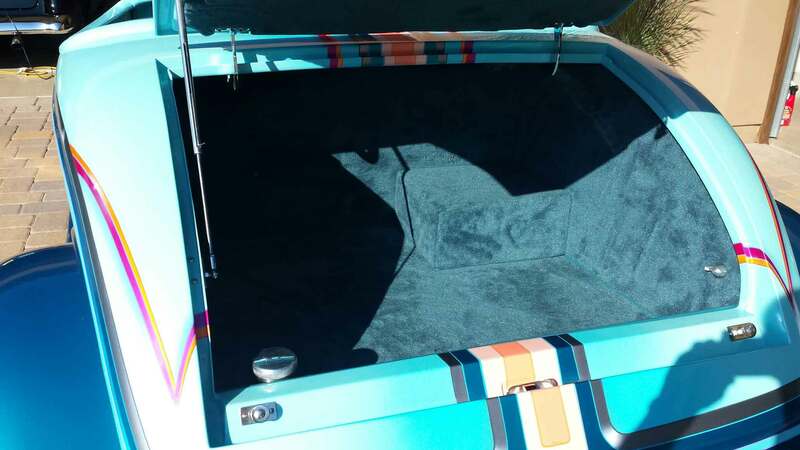 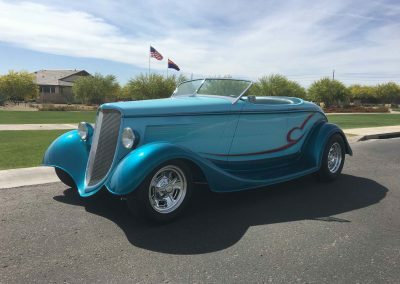 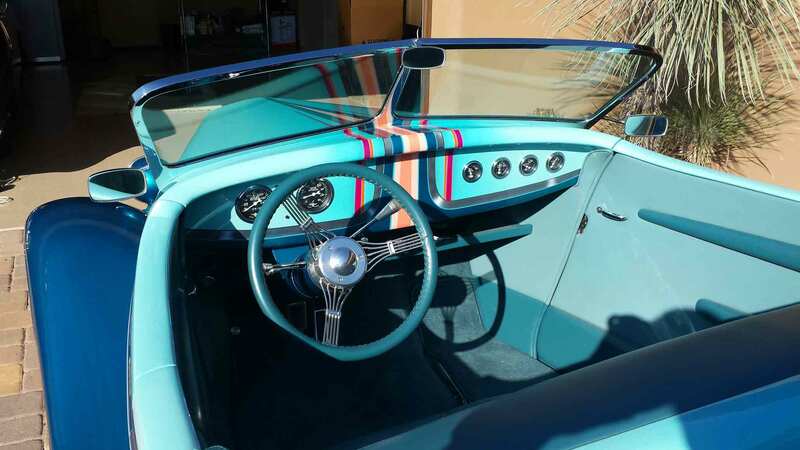 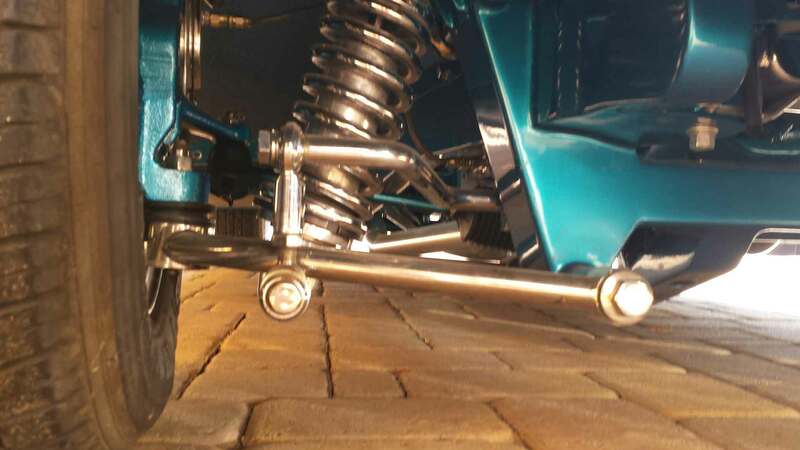 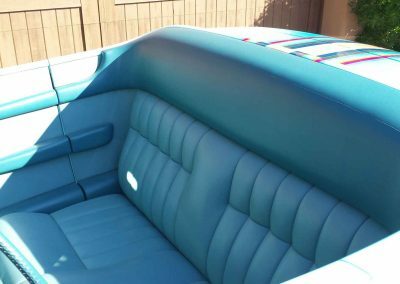 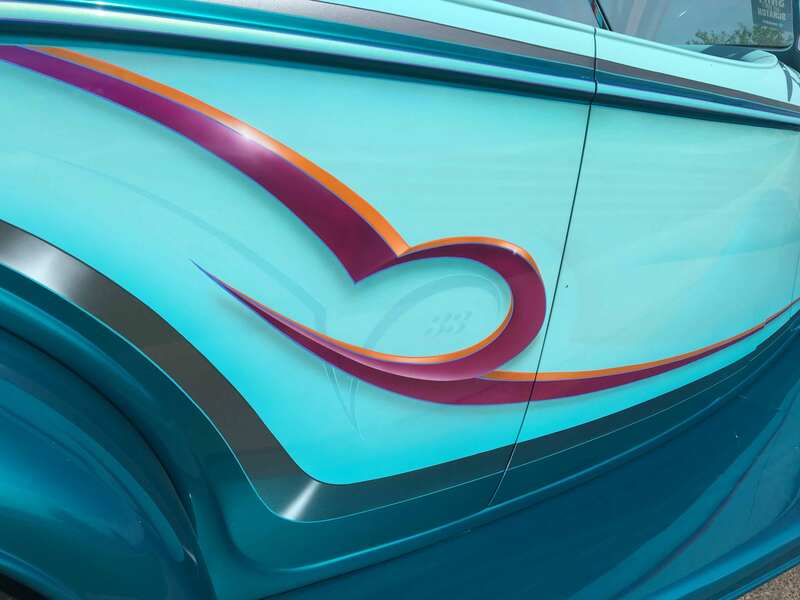 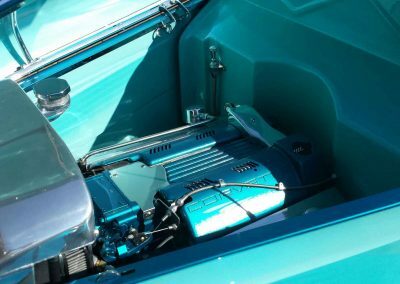 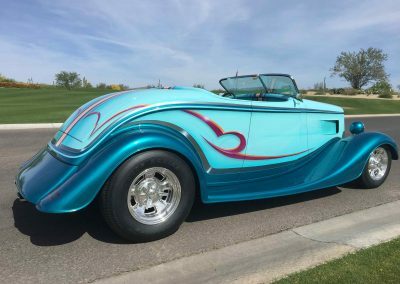 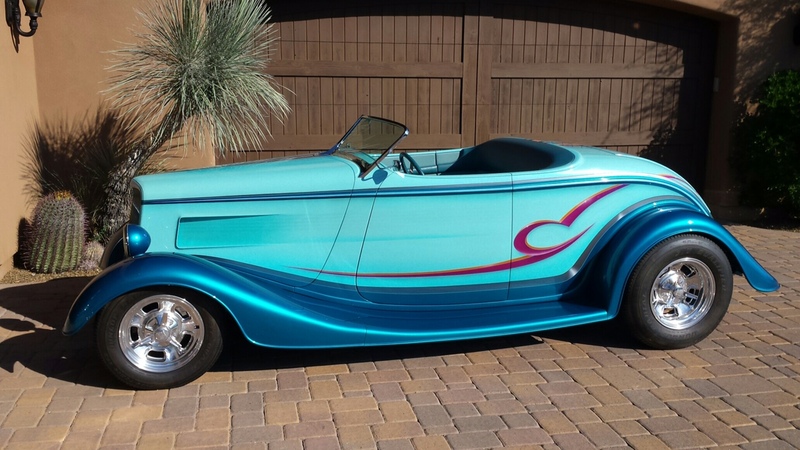 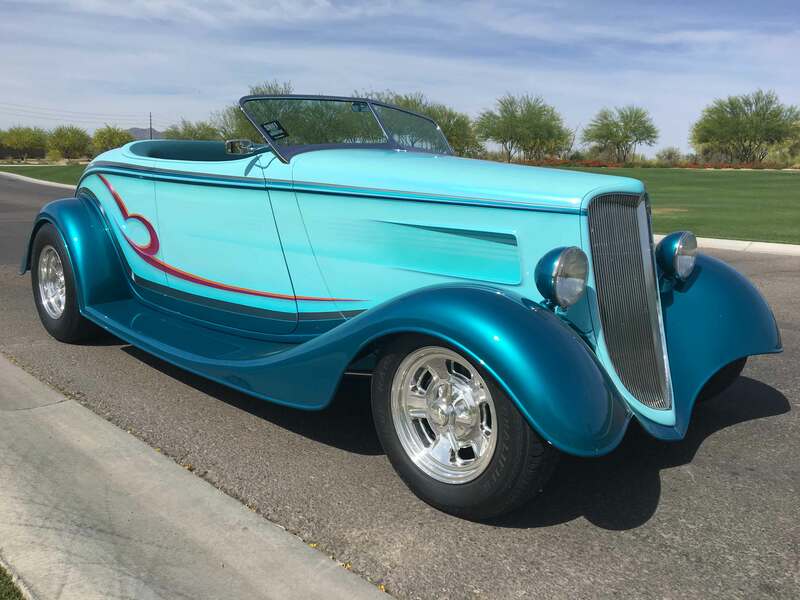 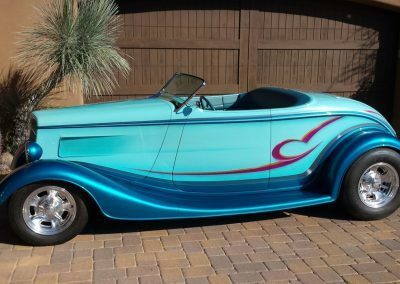 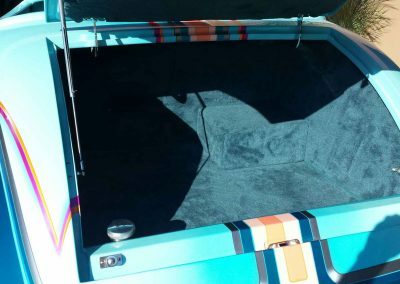 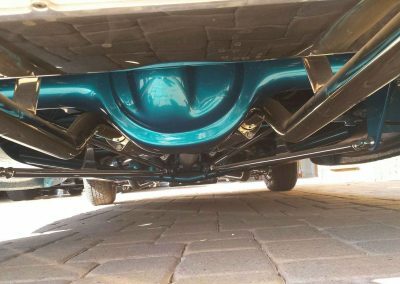 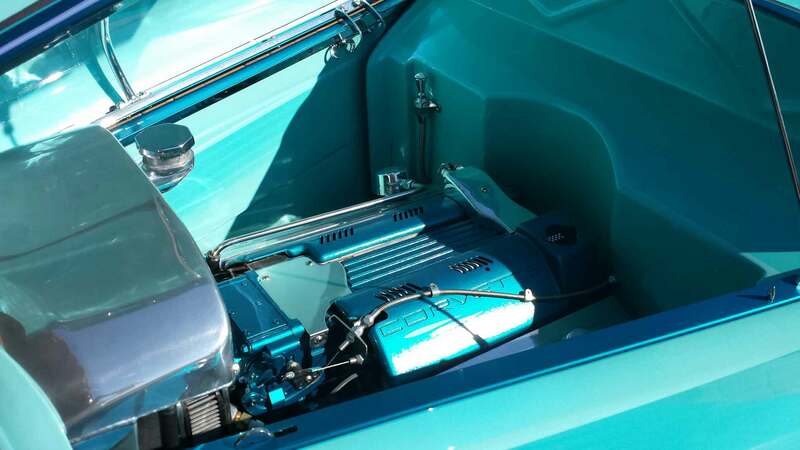 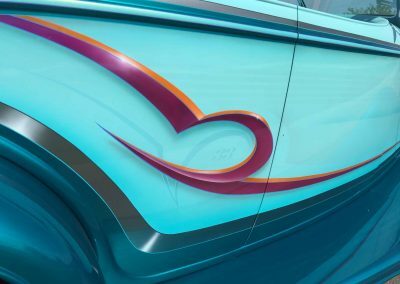 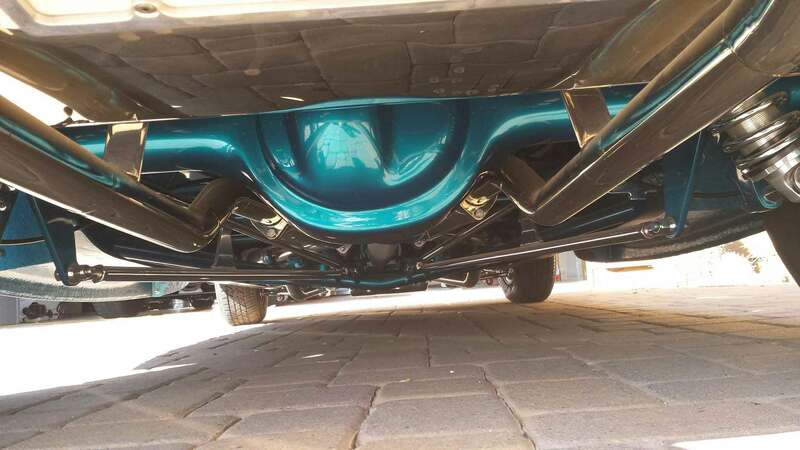 “I mentioned to Andy, Roy’s father, that I was looking to get back into hot rodding since I had sold my 1932 sedan and roadster, and he mentioned that a guy in Scottsdale was looking to sell a 1933 roadster,” he recalls.